Alaskan native Rachele Lynae made a name for herself in the Nashville music scene with her self titled debut album in 2014. Since then, she has performed all over the country opening for acts such as The Band Perry, Keith Urban, Randy Houser, Maddie & Tae, and Kelsea Ballerini to name a few. She is also among the next group of emerging artists to be a part of CMT’s Artist Discovery campaign this January, and her new video for “Quicksand” premiered on all CMT platforms earlier this week. The new video features American Idol contestant and actor, Spencer Glover, as Rachele’s love interest with a wandering eye, and Rachele’s sister, Heather Cole along with several of Rachele’s best friends make cameo appearances as well. Crosby Lane is comprised of singer-songwriters Tonja Rose, John Lemonis, and Michaela Lemonis. Their name is derived from one of the most prolific hymn writers of all time – Fanny Crosby. They made their debut in 2014 with “Story & Song” released by Mansion Entertainment through Sony RED. They garnered the attention of music fans with airplay on multiple national radio stations and numerous television appearances. In December 2015, they released their follow up album, “Crucified” which has garnered the attention of industry peers with its eclectic folk styled sound. Crosby Lane hopes to continue rising in popularity in 2016 with an increased tour schedule and the release of the music video for the album’s title track. In 2012 kwam Rachele Lynae hier op USCM om de hoek kijken met haar debuutsingle Party ‘Til The Cows Come Home. Daarna zijn we haar uit het oog verloren totdat AristoMedia ons in april attent maakte op haar vijfde single Whole Lotta Nothin’. Nu is haar nieuwe single Quicksand uit. Dit keer een dag later dan we gewend zijn. 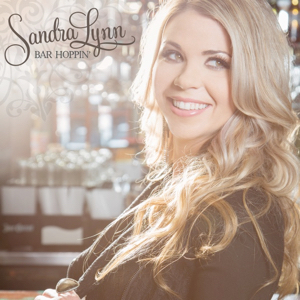 Sandra Lynn is a rising star in the country music world whose new video for “Bar Hoppin'” is a great song for heading out on the town. Sandra has worked with great producers such as Jay DeMarcus (Rascal Flatts), and has recorded and top notch studios like the famous Blackbird Studios in Nashville. She has also opened for Kenny Chesney, Kenny Rogers, and played at CMA Music Fest. The song was co-written with Ross Copperman who is famous for his work with Dierks Bentley and Brett Eldredge. “Bar Hoppin'” is sure to be a favorite for the younger crowd looking to hit the town and have a great time. Party ‘Til The Cows Come Home is de debuutsingle voor de vierentwintig jarige Rachele Lynae (Nashville, Tennessee). We zijn benieuwd wat jij er van vindt: thumbs up of thumbs down?